Since the financial crash the rules have changed – tighter controls and a continuing desire to see a return on investment has meant that both property investors and developers have had to look to alternative sources of funding. in these times fixed return investments can more popular as the income of the investment is not open to market forces. Two of the main areas that have seen much growth and interest over the past few years are peer to peer lending (P2P) and property crowdfunding. Can you get fixed return investments in these sectors? From an investment perspective, they both tick a lot of boxes, lending against property can provide the best of both worlds to investors, and offer a regular return whilst the loan is managed for you. So what exactly is lending against a property? A loan against property (LAP) is exactly what the name implies — a loan charged against the property. The loan is given as a certain percentage of the property’s market value, and will normally vary between 25 per cent to 75 per cent. As with all investments balance is key, with property, a balance of equity ownership and lending combines the benefit of secured returns with growth alongside the property market. Therefore, it is wise to diversify your property investment across these types. Property ownership often returns wealth in the medium to long term but by lending, financial returns in the form of income can be produced immediately. Certainly, with buy to let becoming ever trickier to gain access, fixed return property investments offer the ability to preserve capital whilst giving smooth access to regular income. Brickowner’s latest investment loan in Eastbourne is against the development of a period mixed use property for re-development into a multi-occupancy residence. The loan and thus any individual’s investment into it is secured against the property as a first charge, this provides additional security when compared to alternate unsecured lending investments. Our Eastbourne property highlights the advantages of a balanced investment. The loan to value ratio of our Eastbourne property is 59 per cent of the current market value of the property. Rather than investing in, or lending against, the final value (known as Gross Development Value or GDV), which should increase the security of the loan further. This yield will take the shape of a monthly return, thus the investor will see an immediate return when the loan is deployed. 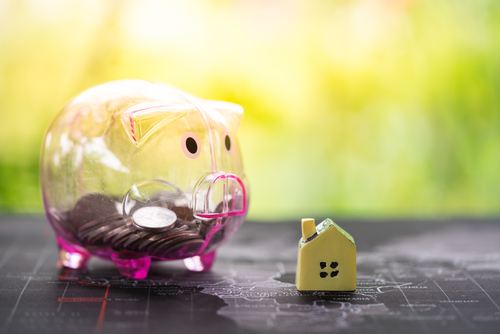 Whilst many P2P platforms and property lenders are prepared to lend against speculative developments, the critical aspect when considering investment – especially for one that provides a regular income – is to analyse the security and collateral. The buy to let market has over the past year become a trickier place to invest, many professional developers are taking advantage of an increase in development opportunities to add value, so by considering lending as an investment you may find some great opportunities.